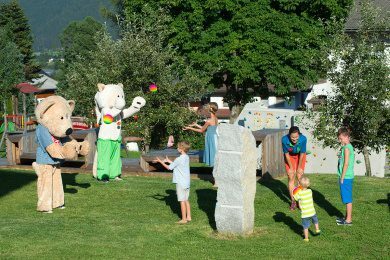 A holiday in the Salzburg mountains in Austria: introduce your kids to the natural marvels of the Hohe Tauern National Park and enjoy the comforts of a 4-star hotel, run by the Innerhofer family and their team! Spacious rooms with generously dimensioned bathrooms. A playground in the hotel garden with swings, slide, climbing wall and table tennis table for the children, deckchairs for the parents. Indoor and outdoor pool with a separate children’s pool in the indoor pool area. Wellness for children and adults: massages and energising treatments for the parents. Lomi Lomi Nui and sound bowl massage for the children. Dedicated children’s menu and gourmet menu for the adults. Children’s juice bar and “proper” bar for adults every afternoon. Even easier: take the Habach Valley Taxi straight to the emerald dig – available free of charge for the whole family once a week, exclusively for Smaragdhotel guests! Tip for parents: panorama view restaurant right next to the playground, ideal for keeping an eye on the kids! Many free entries to the most popular daytrip destinations in the Province of Salzburg, e.g. the Großglockner Hochalpenstraße, the Nationalparkzentrum in Mittersill, the Wasserwelten und die Wasserfälle in Krimml, all with the Nationalpark Sommercard mobil 2019 (included from day 1 of your stay with us). Free travel to many daytrip destinations by Postbus and local train with the Nationalpark Sommercard mobil. From July to early September, check out the various children’s programs at the Wildkogel Arenas, including child care (surcharge). With the two mascots Kogel-Mogel and Kogel-Mia, lots of games, fun and excitement are guaranteed! See, Hear, Smell, Feel, Taste – with all your senses. The National Park also provides Childcare for Kids and Adolescents. They offer a full program in the nature around the Smaragd-Hotel. Many activities, such as pony riding, bread baking and gold panning, are offered throughout the entire summer. There are also numerous educational trails with different themes for you to explore on your own. Guided hikes to our hunting cabin, with family peak victory and sausage grilling. Hiking and mountain fishing at an altitude of 1,600m: we will grill your catch in the hotel. E-bike rental directly in the hotel. One bike & e-bike rental included per stay, with the Nationalpark Sommercard mobil 2017. 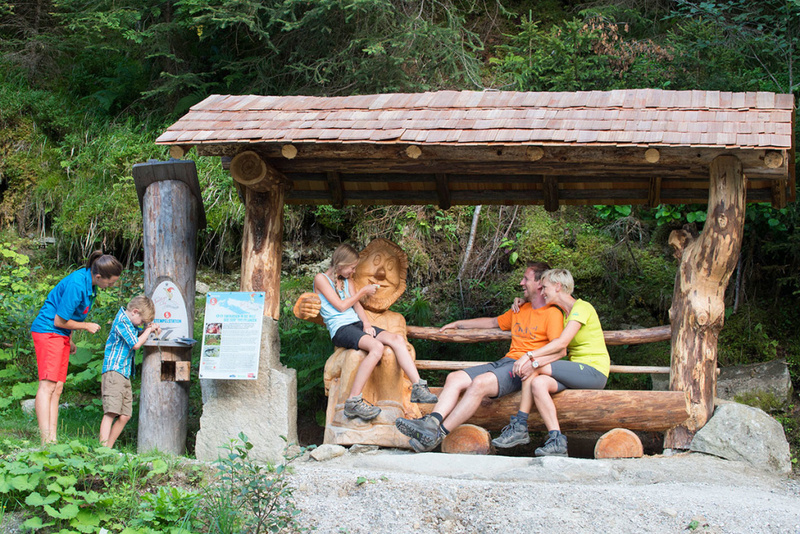 Transport for the whole family to and from the starting points of your hiking tours with the Hiking Taxis.